The human body has some 650 muscles. Only those who understand how human physique functions can develop things to improve it. How do you optimally support the body under particular demands? How would nature solve a comparable situation in the best way? How do we transfer this solution into apparel? And what technical innovations do we need to do that? 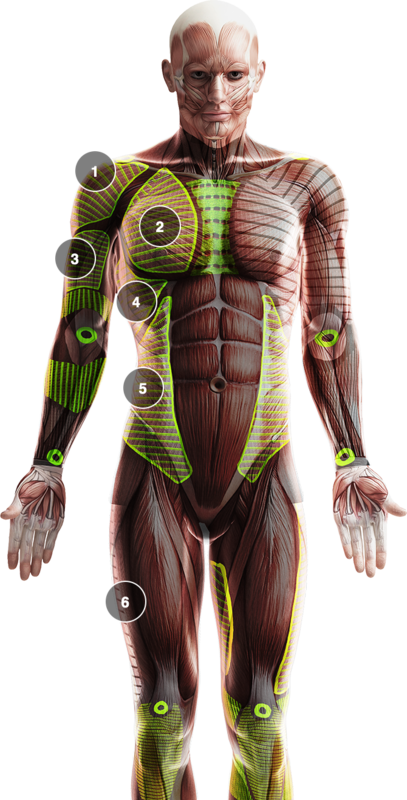 This muscle stabilizes the shoulder and provides a circular movement. During the forward swing to the acceleration the right pectoralis major muscle has a muscle activity up to 98%. It is one of the most important muscles for a perfect gold swing. Strained muscles vibrate heavily. Deathly for a precision swing. Therefore, the hitting arm, which gives power to the strike, is supported by high partial compression. To achieve powerful rotational movement, it needs above all strong lateral trunk muscles. Therefore, the intercostal muscles also exerted a strong partialkompression. 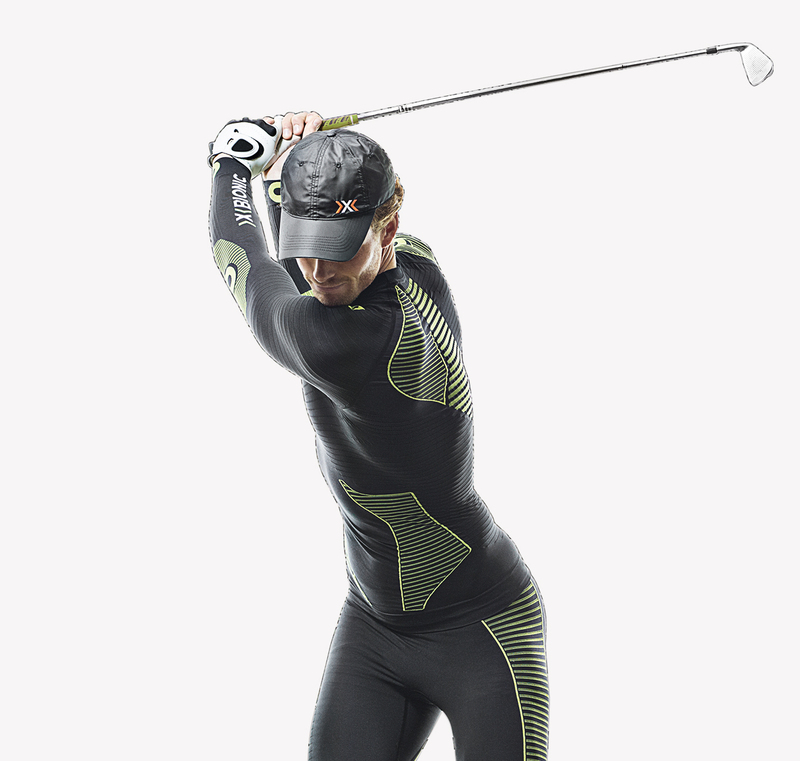 These muscles are loaded during the golf swing almost on both sides equally. Sophisticated hardware for the skin that supports a golfer’s movements optimal and takes the body to a higher level of performance.